Just a reminder to register for the Small Business Saturday promotion from American Express. American Express is offering it’s cardmembers a $25 statement credit to shop at local small businesses on November 24th, the day after Black Friday. They have named this day Small Business Saturday. Enrollment opens at 12:00AM MST on November 18, 2012 and continues until 11:59PM MST on November 24, 2012 unless the enrollment limit is reached sooner. I have just registered all my six American Express cards and I promised to remind you. It’s 12:18 a.m. PST 11/18/12. I’m always up late blogging so it was easy to remember. 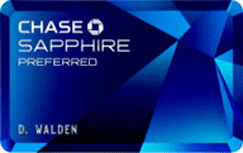 Go here to enroll your eligible American Express® Card. Registration takes a couple minutes if you just have one card. Took about 6 minutes for me as we have 6 cards in the family. $150 shopping spree on American Express! I’ll be having fun Christmas shopping for sure on Small Business Saturday. After you’ve register check out the Shop Small map of locations in your area that are participating in the promotion. You can also find participating business who accept American Express using Square on their mobile phone in the Square Directory. The business doesn’t have to be in your local area but just on the Shop Small map or listed in Square Directory according to the terms and conditions to qualify for the $25 statement credit. That’s it! Just go shop now on Saturday, November 24th, the day after Black Friday. You can find Miles Momma listed in the Square Directory here: https://squareup.com/directory/miles-momma or look me up by my location, San Luis Obispo, CA and business name, Miles Momma. If you were considering using my booking services, Small Business Saturday might be a great opportunity for you to save $25 on my $100 fee. Generally, I charge a $20 deposit to start working on your booking but for this promotion I can charge you $25 so you would qualify for the $25 statement credit. The $25 is credit toward the final booking fee of $100 for a two party booking. With this promotion, you would only end up paying $75 because you’ll receive a $25 credit from American Express for the charge. You can learn more about my services here. If you would like to book my services with this promotion, payment must be made over the phone with your credit card number as I will be processing it using my Square Reader on my iphone. Please complete a booking request prior to November 24th for either a airline award booking or hotel award booking and indicate in the notes that you are participating in Small Business Saturday. I will contact you in advance (before 11/24) to take your credit card information over the phone and will process it on November 24th, Small Business Saturday. Generally, payment processing is all done online on the Miles Momma site through Paypal because it is cheaper for me and more convenient for you. I’m excited about Small Business Saturday as a consumer but I’m also happy to be a participating small business this year. It gives me an opportunity to offer a discount on my services via this American Express promotion and you an opportunity to save money. My home business is about as small as you get. I love it though because it’s just the right size for me. The Miles Momma site affords me the ability to earn a little income while being a stay-at-home Momma; doing what I love to do. I’m living my dreams of staying home with my kids, homeschooling and coaching their sports. My days are full whether I’m teaching school, paying bills, cleaning house, folding laundry dreaming about my next adventure, booking someone else adventure, or just helping someone learn how to earn those valuable miles and points so they can live their dream of travel. I feel blessed and thankful. So if you find yourself in need of my services, please let me know how I can help you. 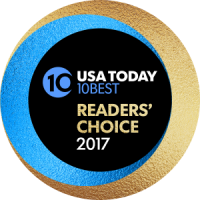 You can read my recent testimonials here. My guarantee to you is that I will work until you are 100% happy. Your happiness is my number one objective. SHOPPING TIP: You can look up any geographical area on Shop Small map or Square Directory. So say you need gift for a friend or relative that lives out of the area, consider looking for a local small business in their area and buying a gift certificate or gift card from them over the phone on 11/24. They can then mail it to you or the recipient. Most small business will do this because it only costs them a stamp. This saves you the cost of buying a gift and shipping it to them. This idea just hit me! IMPORTANT INFO: Enrollment is limited so act early before enrollments run out. They have not given a number but I wouldn’t want to register your card.Corporate and prepaid cards are not eligible. So be sure to register all you American Express cardmembers and have fun on Small Business Saturday. 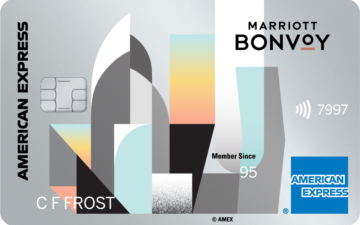 A big thanks to American Express again for putting on this promotion and showing us all the love! I’m a huge fan of AMEX and always have been. They are the cream of the crop of lenders. I remember when I was a kid and saw someone pull out an Gold American Express card, I thought “They must be rich”. Now I have 5 of my own and I’m far from rich. Funny how you see the world when you are a kid. To be eligible, Cardmembers must enroll an eligible American Express Card in this offer at ShopSmall.com. Prepaid and Corporate Cards are not eligible. To receive the $25 statement credit, the Cardmember must use his or her enrolled Card to spend $25 or more in a single, in-store transaction at a qualifying small business location on Saturday, November 24, 2012. 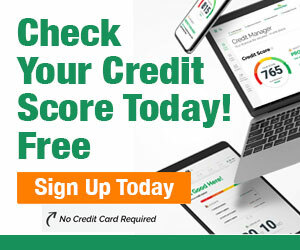 To receive the credit, the transaction must equal $25 or more (for example, if your transaction is only for $15, you will not receive a credit). Multiple transactions of less than $25 will not qualify even if the combined total of those transactions is over $25. You may purchase multiple items that together equal $25 or more, but you must purchase them in a single transaction to receive the statement credit. Qualifying small business locations are those identified on the Shop Small® Map, available at ShopSmall.com. In addition, small business locations that accept American Express through Square also qualify and can be found on the Square Directory at https://squareup.com/directory/?cmpId=amex or from your mobile phone using the Square Wallet app. Small business locations that do not appear on the Shop Small® Map or that do not accept American Express through Square will not qualify for the $25 statement credit offer. Please note that business location information provided on the Shop Small® Map and Square Directory may contain inaccuracies or errors, including as a result of information provided by third parties. Transactions with political campaigns or political action committees are not eligible, regardless of whether they appear on the Shop Small® Map or in the Square Directory.